SHANGHAI — In a shabby-chic café packed with mismatched furniture and vintage curiosities, travel writer Xu Song, fresh from a trip to Russia, nurses his jet lag with a mug of hot milk. 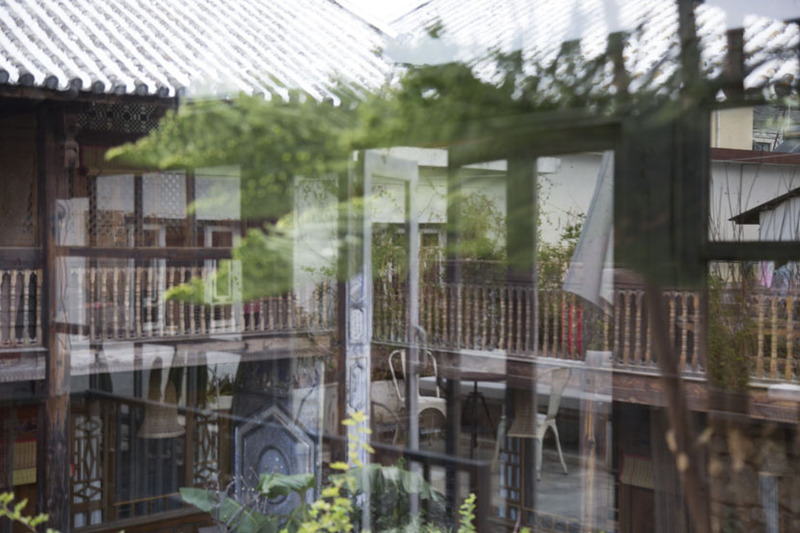 Originally from the eastern city of Hangzhou, Xu has been a so-called lifestyle migrant in Dali — a famously laid-back town in southwestern China’s Yunnan province — for nine years. Within the ever-evolving community of creatives and city-shunners, he is one of the best-known and lauded members. In his role as a “wild” or amateur researcher, Xu — who worked in advertising in Shanghai for 10 years before moving to Dali with his wife and daughter in 2010 — wrote the book “Under Cang Mountain.” Published in 2015 and named after the mountain range that towers over Dali’s western flank, the book introduces the artists, novelists, and musicians in the town’s diverse migrant community, the alternative thinkers in search of a peaceful existence away from China’s megacities. Dali has also become one of China’s most popular domestic tourist destinations, seeing more than 20 million tourists in 2017 alone. This has, in turn, pushed migrants out of their strongholds in Dali’s Old Town and by Erhai Lake and has led to increased pollution. The local government’s arguably extreme measures to quell the pollution has affected migrants and locals alike. Xu — who looks younger than his 50 years with his hoodie, beard, and baseball cap — bought a house in Dali in 2012 and calls the members of the alternative community his neighbors, even though they no longer live in the same location. Xu’s daughter studies at Dali’s community kindergarten and school of around 150 students, Mao Mao Guo Er. 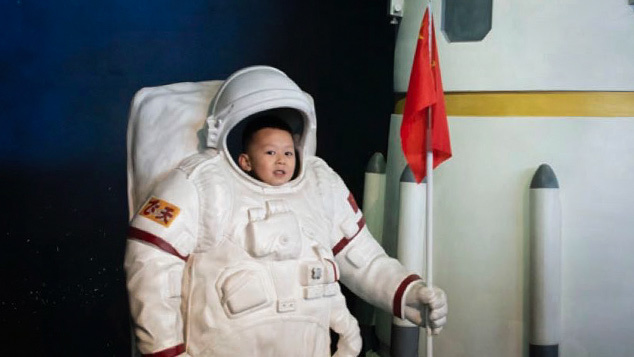 Widely reported to be the first creative educational experiment in China, the school is run by a combination of professional educators and community members and emphasizes creative pursuits and self-study over the notoriously grueling Chinese curriculum. In recent years, Xu has visited other hubs of alternative migrants around the world and shared his thoughts, both on and offline, about the concept of community. 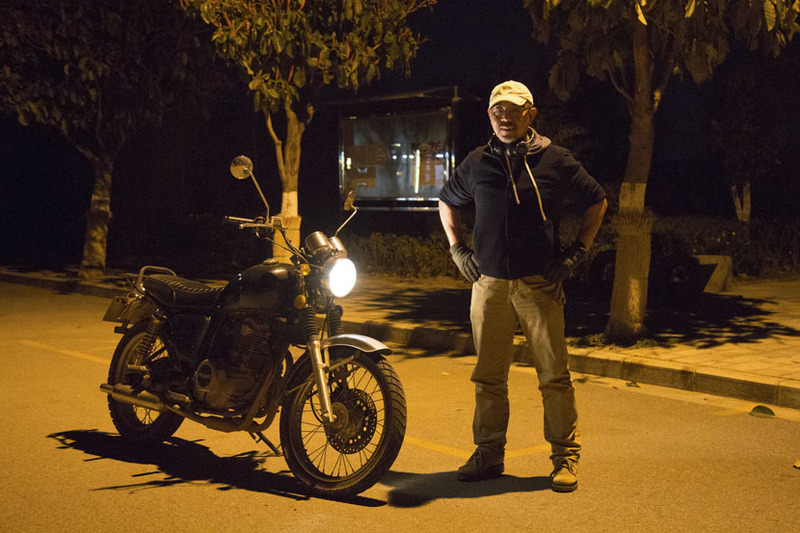 In a bid to document what he sees as the most interesting and valuable parts of life in Dali, he is currently running a long-term research project on his community. He hopes his findings can be used as a blueprint to create similar social ecosystems elsewhere in China. Xu spoke with Sixth Tone about how Dali’s migrant community formed, how it’s unique, and why it’s important to China as a whole. The interview has been edited for brevity and clarity. Sixth Tone: How and when did the idea of migrating to Dali come about? Why did creative people like yourself choose Dali? 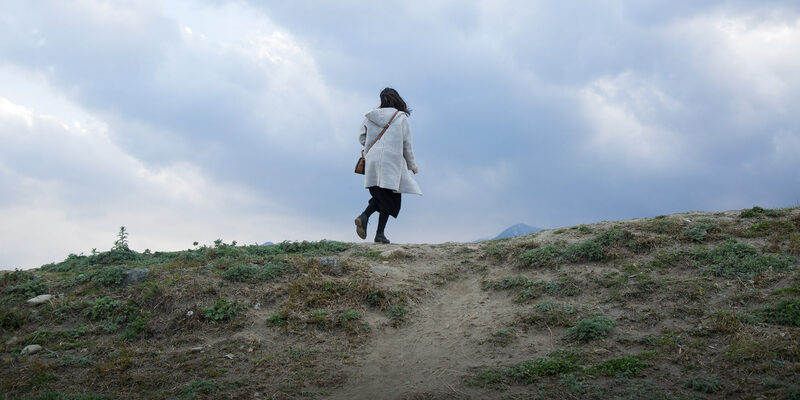 Xu Song: Firstly, the Bai minority who live around Dali are very open and inclusive and have a history of accepting outsiders and those from other cultures. After “reform and opening-up,” China opened its doors to the wider world. Western backpackers heading to Southeast Asia entered China along the Mekong and Lancang rivers and came southwest to Yunnan province, where they found Dali. The community’s creative atmosphere encourages people to try new things and break from their ingrained habits. The backpackers, who tended to be hippies, enjoyed the local art, people, and general lifestyle of Dali and started to create their own culture and community here. Southwest China’s first coffee plantation was in Dali, as was the region’s first pizza oven. Compared with other places in China, Dali is still like a small village, but it produces a wide variety of high-quality Western food, like cheese and coffee. An alternative community started to form because of the backpackers and their tastes. As for the Chinese migrants, a group of young artists from Beijing’s Songzhuang art community — including [now-famous poet and folk singer] Zhou Yunpeng and artist Yue Minjun — came to Dali with Ye Yongqing [another famous contemporary Chinese artist originally from Yunnan]. They bought houses and settled down. As more literary and artistic young people came, Dali started to attract others interested in an alternative lifestyle. The year 2012 was a kind of turning point. On the one hand, the rapid rise of WeMedia [digital content produced on social media] made Dali popular. The ancient village of Shuanglang is a typical example of a place in Dali that became famous because of WeMedia posts. On the other hand, the smog in northern China, which appears every winter, prompted many citizens to escape the polluted cities. If these people went to places where there were very few outsiders, they might not have felt welcome. So, they needed to choose a place with a history of migration and a ready-made community of outsiders. Dali was that place. This community is a complete ecosystem that grew step-by-step and got stronger, even when the traditional communities, such as the nongtang neighborhoods in Shanghai and the hutong alleys in Beijing, started to fade. The community’s creative atmosphere encourages people to try new things and break from their ingrained habits. This is what we see as Dali’s greatest value. Not the green mountains and the rivers, but the inclusive community environment. Sixth Tone: Who are these “lifestyle migrants” and what do they have in common? This community is actually very equal. The person who runs a shop on the street to make money to buy food is on the same level as a rich person with five coal mines in [northern] Shanxi province. Xu: The most unique thing about Dali is that it’s thought to be the only place in China that attracts lifestyle migrants. Most of China’s big cities see large-scale economic migration, and there are other places where the elderly go to retire. 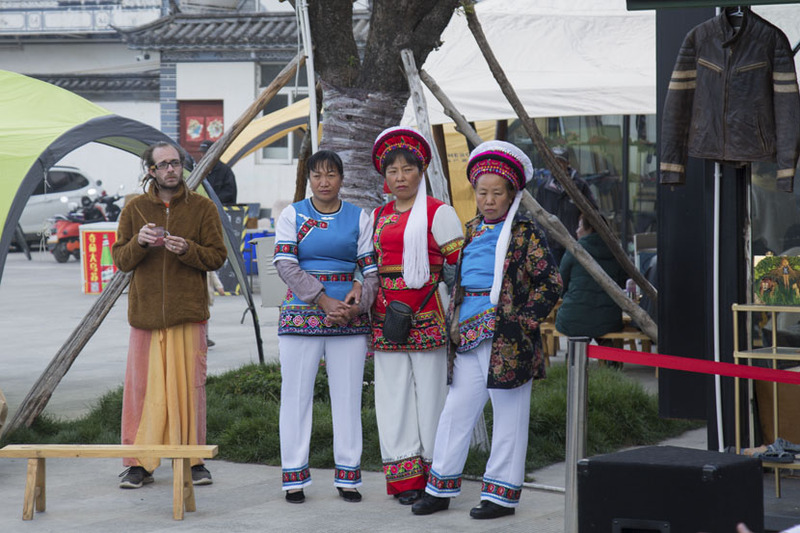 But in Dali, lifestyle migrants are of all ages and come from various backgrounds. There are two main ways that people in our community earn money. Some run restaurants, hotels, or tourism-related businesses, and some, like me, are kind of digital nomads who don’t really need a physical working location. This sector of the community is mainly involved in creative industries. Some misunderstand Dali’s lifestyle migrants. People think we all earned lots of money elsewhere before moving to Dali for a quieter life. It’s only true in some cases. This community is actually very equal, in that the person who runs a shop on the street to make money to buy food is on the same level as a rich person with five coal mines in [northern] Shanxi province. In our community, there are both celebrities and regular people, but there are no administrative boundaries. Relationships here are based on simple things, like whether people like each other or have the same interests. Sixth Tone: How is Dali’s community of lifestyle migrants different from other communities in China? Xu: The concept of community has been eroding in China. I think a real community should feature four main things. First, there should be a fixed place, but not necessarily a fixed administrative district or anything. The lines are blurred. Second, the community size should be relatively stable, but that doesn’t mean people can’t move in or out, just that there should be a fairly stable population. Third, the community should be decentralized, meaning it shouldn’t have a single leader or organizational structure. Finally, the people in the community should connect with each other directly, not through an administration or leader, and be more like social media. China has embodied this kind of community lifestyle — both in its cities and in rural areas — for generations. But the housing boom and the increase of high-rise living have broken all that apart. Important neighbor relationships and interactions have faded. However, this traditional type of community is too exclusive, made up of people with similar backgrounds, habits, and lifestyles. It lacks diversity. 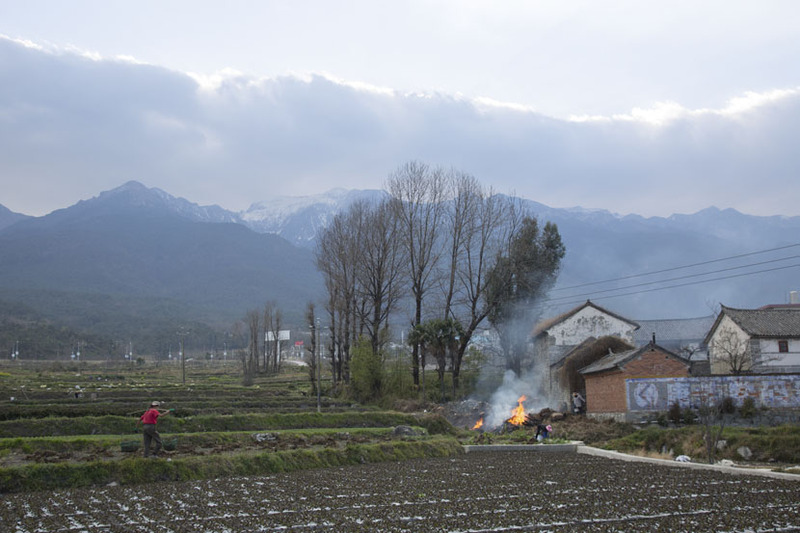 In Dali’s migrant community, there are people from different walks of life. We share these differences when we communicate, and this diversity spreads throughout the group. Our community is formed by a flow of information. Sixth Tone: What are the benefits of living in a community like yours? Xu: Living environments can have a direct effect on individuals, which has been proven with the Roseto Effect [whereby a tight-knit community in the U.S. was found to experience lower rates of heart disease, presumably because of lower stress levels]. The development of modern housing estates has destroyed traditional Chinese concepts of neighbors and community. Our Dali community has evolved as its members make demands and find solutions. For example, as more people moved to Dali, families needed to educate their children. Some chose to enroll their kids in local schools, but others forged their own path. I also needed to find my daughter the right school after we moved from Shanghai. Mao Mao Guo Er was born out of the needs of the community. When our children were old enough for primary school, we discussed how we could educate them ourselves. Now we’re talking about high school education, too, because the oldest kids in Mao Mao Guo Er will reach that level soon. Because Mao Mao Guo Er is a community business, the owners and the customers all know each other, and we trust each other. [Community businesses] include more human kindness than societal businesses. 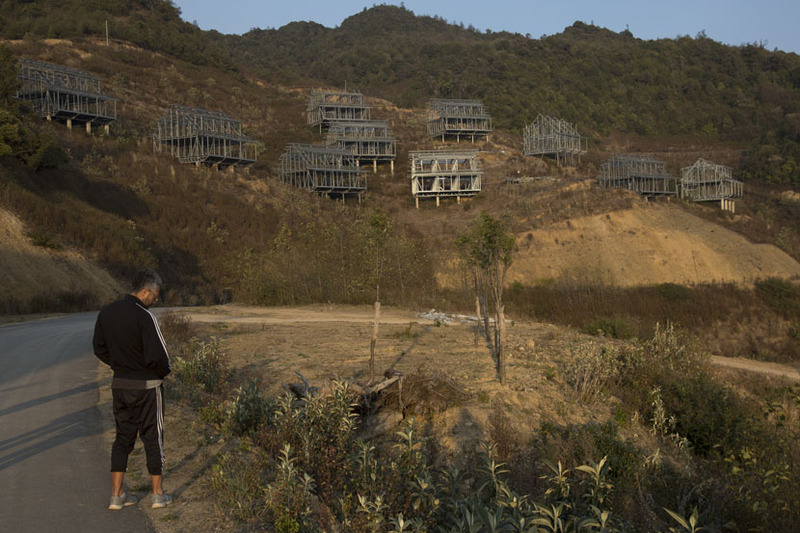 Sixth Tone: How was your community affected by the rise in property prices and the government’s recent push to tackle pollution in Dali’s natural attractions? Xu: We used to all live in Dali’s Old Town or by Erhai Lake, and our activities mainly took place on Renmin Road [a prominent street in Dali’s traditional center]. When more people came to Dali to invest in tourism, property prices skyrocketed. People like us could no longer afford rent, so we had to move farther out. Some left entirely, some decided to buy apartments in the city proper. We don’t live as close [to each other] as before, but we still meet for activities. When the government started a campaign to protect the environment around Erhai Lake two years ago, its method was too extreme. Many people were affected, and it disrupted our community’s ecosystem. Sixth Tone: What can China learn from your community, more broadly speaking? The development of modern housing estates has destroyed traditional Chinese concepts of neighbors and community. People live in apartment blocks where neighbors rarely interact with each other and sometimes don’t even know who lives next door. We have become the first generation without real neighbors. Now the concept of creating a community atmosphere is gaining traction. Many real estate companies are trying to imitate traditional communities, and even businesses want to create these ecosystems, such as with industrial parks. However, a community culture like Dali’s is created from the grassroots. A top-down approach cannot produce a genuine community. Dali’s community culture is worth further research. That’s why some neighbors and I are doing a community-based research project within Dali. I think our findings could be important for the rebirth of communities in China.